Healthy churches are always looking for ways to make good things better. They don’t wait for something to break before they fix it. It’s not always easy to fix long-term problems and implement needed changes in a church – especially when old, dysfunctional ways have taken root. When a first-time guest comes to a church, they should see our faith at its deepest and best. Many churches have experienced great success and growth doing big ‘come and watch’ events. CTPastors Has a Small Church Section – And They Want to Hear From You! How to pitch, write and submit an article that fellow small church pastors will want to read, and the editors of CTPastors will want to publish. 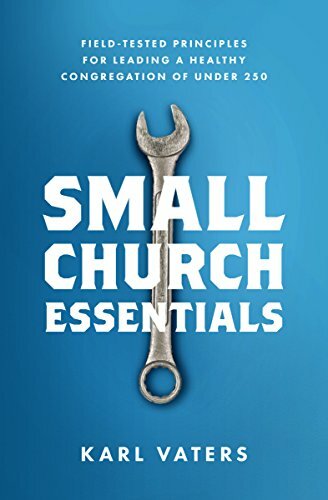 Do you have some creative, practical, encouraging ideas about small church ministry? If you can write about them in a clear, concise manner, CTPastors might want to publish an article from you. The first challenge to the truth of the gospel wasn’t a competing idea or argument. It was the planting of a fake news story. Easter is coming! All over the world, pastors are preparing to speak to what is usually the biggest church crowd of the year. If you’re wondering how to make the wonderful, but familiar resurrection story feel fresh again, here’s an idea I’m working on. Why Doesn’t God Answer My Non-Stupid Prayers? When you're in pain, even good, thoughtful ideas about why God sometimes doesn't answer our prayers can feel trite and fall short. This should be the shortest blog post I’ve ever written. Because the answer to the question posed in the title takes just three words. We need to become better pray-ers. But how? Offer prayers God has already said he’ll answer. God doesn’t do stupid things. No matter how many times we say “please”. No matter how much faith we have. No matter how hard we pray. Please stop beating us down for what you think we’re not doing. Guilt doesn’t motivate, it discourages. I love my church. I want it to be strong, healthy and growing. That’s why I read church ministry blogs and books, go to conferences and seminars, listen to podcasts… whatever I can get my hands on. I’m always looking for the best advice I can find. When a healthy church gathers for worship it should renew our passion to mobilize and move out in ministry. Historically, whenever the church of Jesus is dynamic and healthy, it grows. But healthy, missional Christians don’t just clump together in larger and larger groups. 6 Reasons a Leader Never Says "At Least Someone Is Doing Something!" It doesn’t matter how much activity you’re generating if you’re not solving the problem. Life is filled with problems. Some big, some small. Some emergencies, some petty. When a big problem presents itself, we want somebody to do something about it. Problem-solving is one of the prime roles of a leader, after all. Great churches don't need spiritual enablers or high-achieving CEOs. They need equipping pastors. It’s becoming harder to say that lately. Sure, there are the usual pressures. How can we reach our communities if they have no idea we love them? And how will they know we love them if we don’t work alongside them? Our church used to partner exclusively with other Christian ministries. For everything from missions to community service. Before that, we would only partner with ministries in our denomination.